Clay received a 30 percent disability rating from the VA for his PTS. After discovering that his condition prevented him from maintaining a steady job, Clay appealed the 30 percent rating only to be met with significant bureaucratic barriers, including the VA losing his files. Eighteen months later, and five weeks after his death, Clay’s appeal finally went through and the VA rated Clay’s PTS 100 percent. 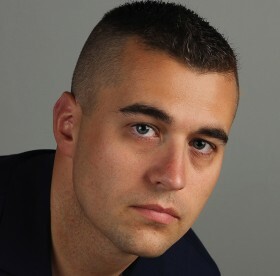 Clay exclusively used the VA for his medical care after separating from the Marine Corps. Immediately after his separation Clay lived in the Los Angeles area and received care at the VA medical center there in LA. Clay constantly voiced concerns about the care he was receiving, both in terms of the challenges he faced with scheduling appointments as well as the treatment he received for his PTS, which consisted primarily of medication. In late 2010, Clay moved briefly to Grand Junction, Colorado, where he also used the VA there, and then finally home to Houston to be closer to our family. The Houston VA would not refill prescriptions Clay had received from the Grand Junction VA because they said that prescriptions were not transferable and a new assessment would have to be done before his medications could be re-prescribed. Just two weeks after his appointment with a psychiatrist at the Houston VA medical center, Clay took his own life. He also starred in a public service advertising campaign aimed at easing the transition for his fellow veterans, and he helped wounded warriors in long distance road biking events. Clay fought for veterans in the halls of Congress and participated in Iraq & Afghanistan Veterans of America’s annual Storm the Hill to advocate for legislation to improve the lives of veterans and their families. Senator Burr, I understand that you and Senator McCain just introduced an updated and improved version of the Suicide Prevention for America’s Veterans Act, or SAV Act, that is similar to the House version of this bill, and have also named your bill after my son, Clay, like the House. Thank you for stepping up to try to get something meaningful done to address this issue. The reforms, evaluations, and programs directed by this legislation will be critical to helping the VA better serve and treat veterans suffering from mental injuries from war. Had the VA been doing these things all along, it very well may have saved Clay’s life. We know that time is short in this Congress, but we hope that Majority Leader Reid will prioritize getting this done for our veterans before you all leave for the holidays.